Transmission problems vary from a bad brake switch, to a complete transmission failure. Today's transmissions have up to 12 speeds. The electronics involved in transmissions today are so complex, it almost requires a "Rocket Scientist" to figure them out. 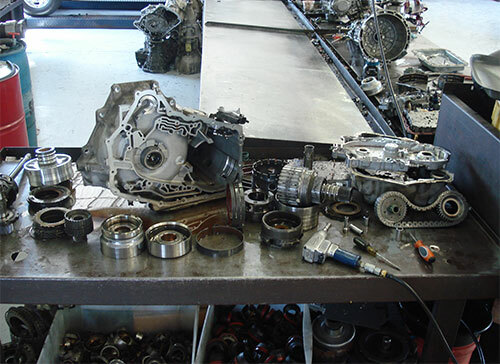 We have the know how to repair or completely rebuild your automatic or manual transmission. We're no "Rocket Scientist", but we are trained and Certified to repair your transmission or rebuild it. With a combined 50+ years of experience, rest assured that we can fix your transmission. And fix it right! All transmission repairs and rebuilds are guaranteed.